When it comes to meat, the general consensus for health-conscious consumers is that the leaner the better. That’s why chicken breast is a popular choice. But if your chicken breast has white stripes, it may not be as healthy as you think. One group called Compassion In World Farming has an important message for consumers, so it’s best to read on before chowing down. If you’re looking at a chicken breast, it should be a light pink in color. But look closer and you may notice white lines running parallel to the muscles of the meat — that’s white striping. Chicken products with several incidences of white striping are processed into nuggets or sausages, but chickens with moderate white striping still appear on store shelves. What causes the white stripes? More than 50 billion chickens are raised every year for food or for their eggs. Our nation’s factory farmers have to take shortcuts in order to make sure chickens grow fast enough to keep up with the high demand for poultry. They do this by genetically modifying chickens to grow faster than they would in nature. Compared to 50 years ago, today’s chickens grow in half the time and weigh in at double what they used to. But this doesn’t come without consequences. As a result of genetic modification, chickens develop muscular disorders and more fat on their bodies — 224 percent more fat, to be exact. In short, the white stripes are a sign of an obese, muscularly-disordered chicken. So much for choosing the leanest option, right? When you purchase chicken breast with white stripes you are eating meat that contains more fat and nine percent less protein. Additionally, researchers say that chicken meat with white stripes results in “substantial reduction in the quality of breast meat” and lowered nutritional value. Not so, according to this 2016 study published in Poultry Science. Researchers at University of Arkansas and Texas A&M found that out of 285 birds, 96 percent showed white striping. People aren’t exactly getting the lean meat they are shopping for. And if that wasn’t enough to deter you, you’re also eating chickens that suffered chronic pain for most of their lives. If you’re really curious about reasons to avoid factory-farmed chickens, or factory-farmed meat for that matter, a quick Google search will yield plenty of videos and documentation to give you the answers you’re looking for. A fair warning, some of these may make you feel nauseous and swear off meat altogether. Organic: Chickens have outdoor access, a vegetarian diet, non-GMO feed, no antibiotics and annual inspections. Free-range: Chickens have outdoor access, though the duration is undefined. Antibiotic-free: Chickens are not injected with antibiotics, like penicillin. Natural: The chicken has no preservatives or flavoring, though this label says nothing about the life of the chicken. As you can see, there’s a lot of ambiguity in the labeling business. If you’re really committed to eating better meat, you could always raise your own backyard chickens. You’ll know exactly what they’re eating, you’ll have access to fresh eggs and the meat will be more nutritionally dense. 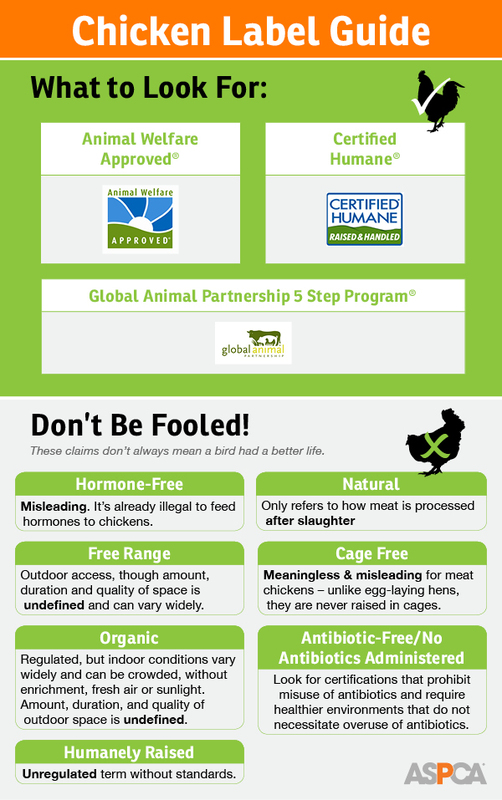 Plus, you’ll have the peace of mind knowing the chickens had healthy, natural lives. As they say, you are what you eat — so choose wisely. Newer PostCan Intermittent Fasting Take Your Weight Loss To The Next Level?